The last post of the Sheona Hacks series isn’t one that I had initially planned, but it was highly requested. 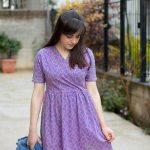 Apparently, there were many of you who wanted to learn how to add a Peter Pan collar to a jersey dress so today I’m gonna show you, step by step. 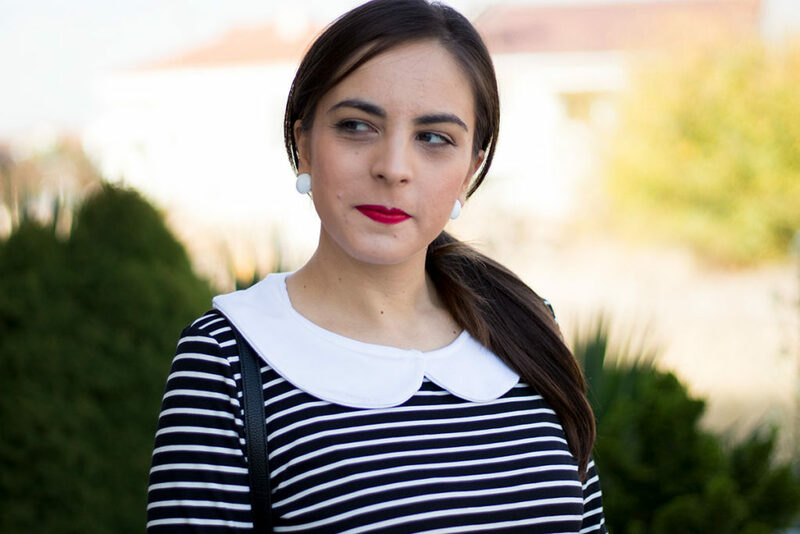 You can make the Peter Pan collar as wide as you want to. I wanted mine to be 6cm wide (2,5″). 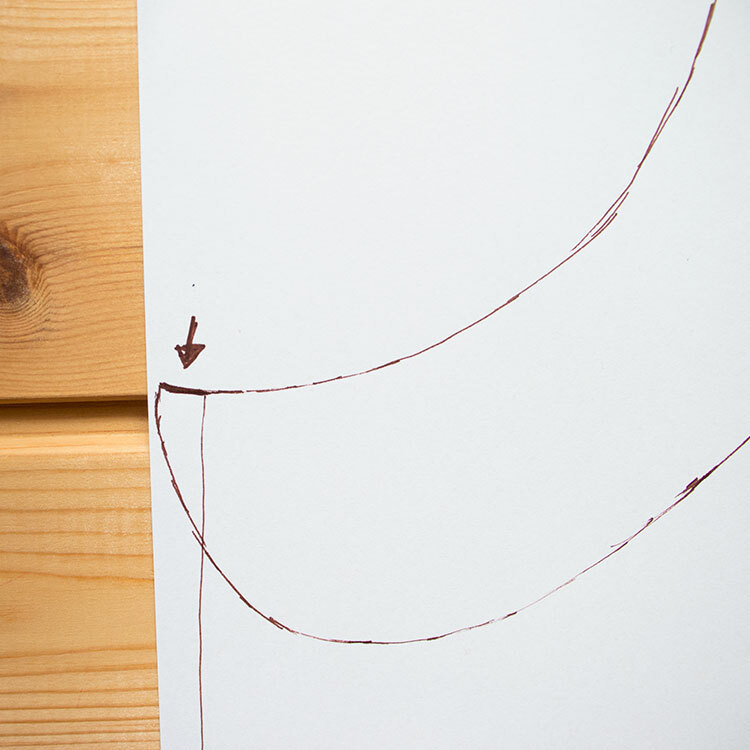 To draw the pattern pieces, you will have to trace the neckline on both the front and back piece. 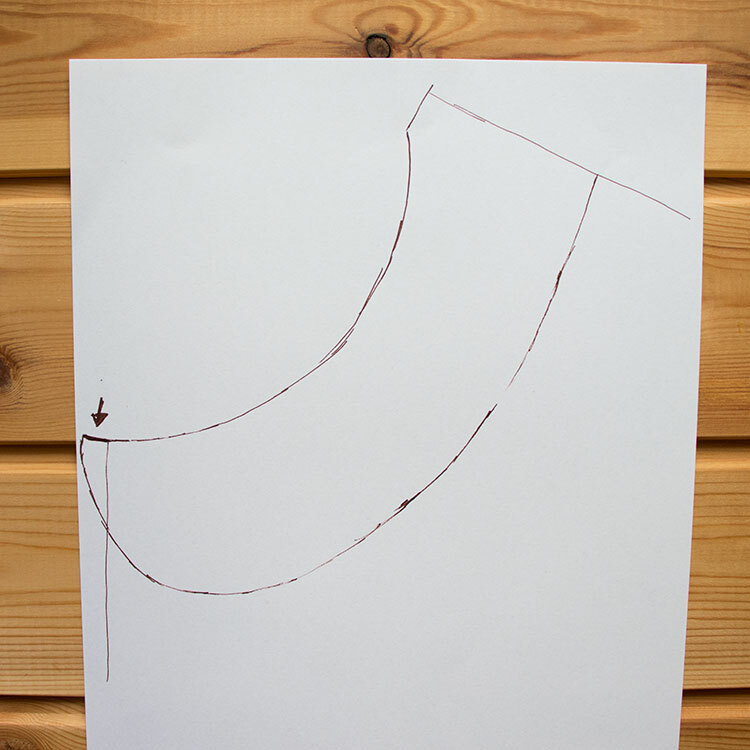 Then, draw the shape of your collar on both the front and the back as you see in the pictures. 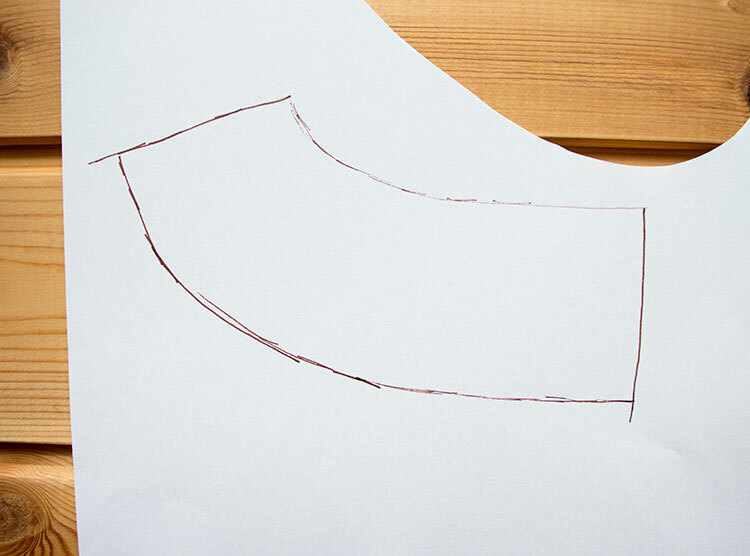 You can do it by hand, by measuring the desired collar width all around and connecting the dots or you can use a French curve. I wanted my front collar pieces to overlap a little bit on the front, so I extended the collar by 1 cm (3/8″) at the center front. 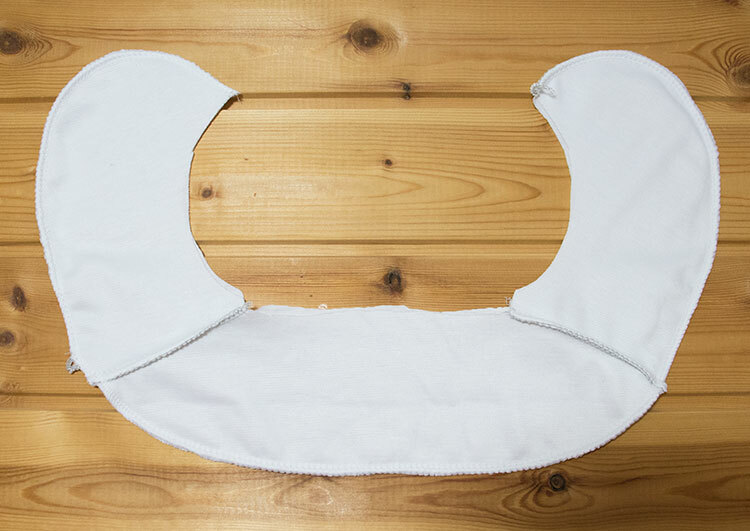 Now that we have the front and back collar pieces, we will have to add the seam allowances. 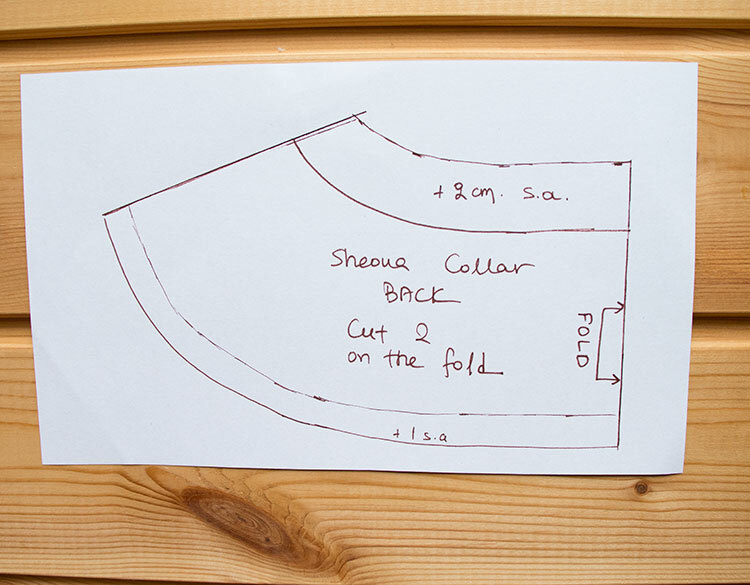 You will add 1 cm (3/8″) seam allowance on the bottom edge on both collar pieces. You will also add 2 cm (1″) seam allowance on the inside sides, like you see in the pictures below. That is because we will stitch the collar on the inside of that dress and then turn it over. 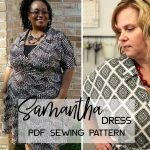 Once you have your pattern pieces, go ahead and cut them out of your fabric. 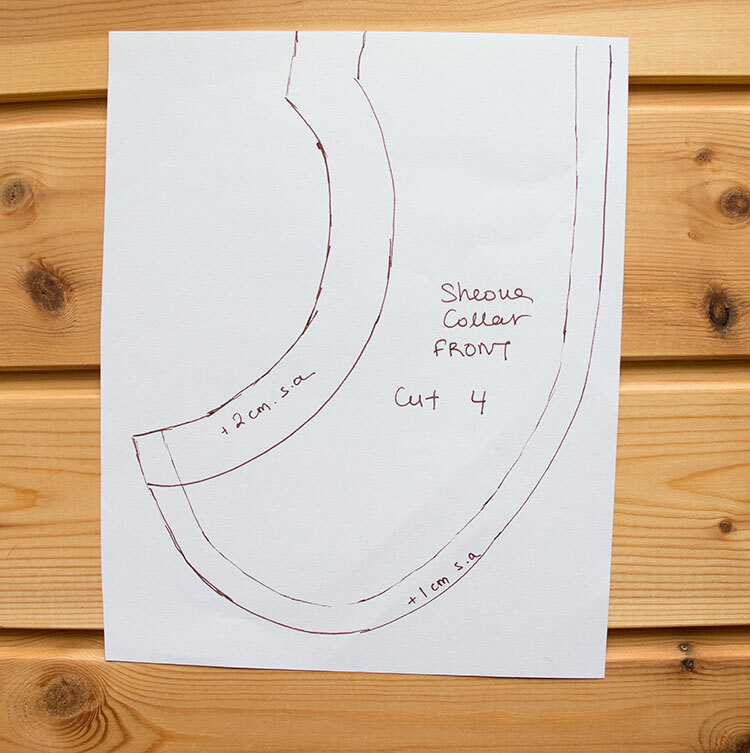 You will need 4 pieces for the front collar and 2 pieces for the back, cut on the fold. And then it’s time to construct the collar. 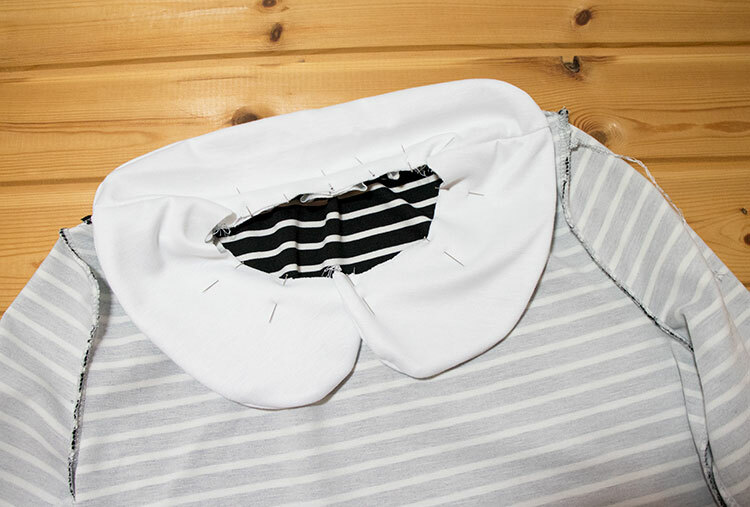 Place the front collar pieces on top of the back collar piece at the shoulder seams, right sides together, pin and stitch with 1 cm (3/8″) seam allowance. Repeat for both the outer collar and the inner collar and press the seam allowances open or to one side. 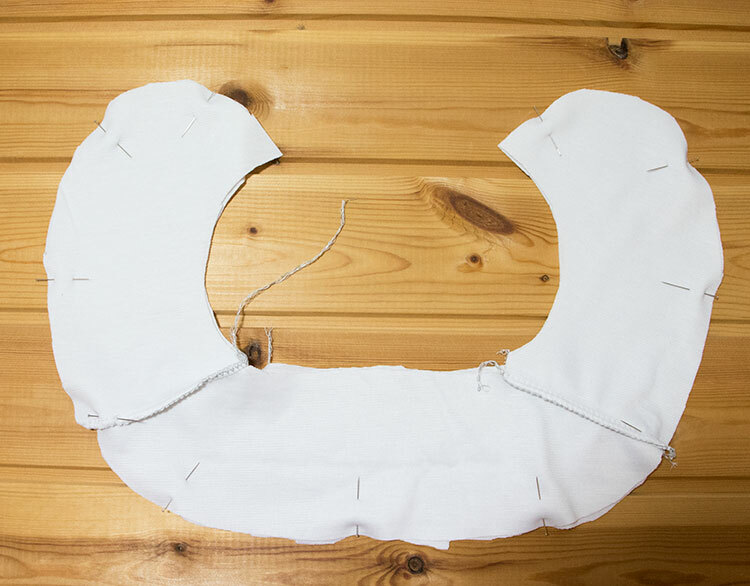 Now place the outer collar on top of the inner collar, right sides together. Pin the bottom edge, matching the seams and stitch from corner to corner. You will leave the inner side unsewn. Turn the collar right side out and give it a very good press. Then move on and sew your Sheona dress and top, following the instructions in your booklet. 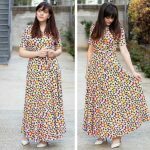 The only step you will omit is the neckband. To attach the collar to the dress, turn the dress wrong side out. 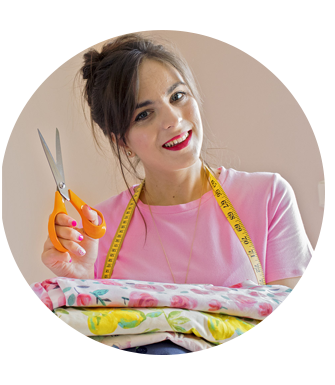 Fold it in half and snip a notch at the center fold of the front neckline. 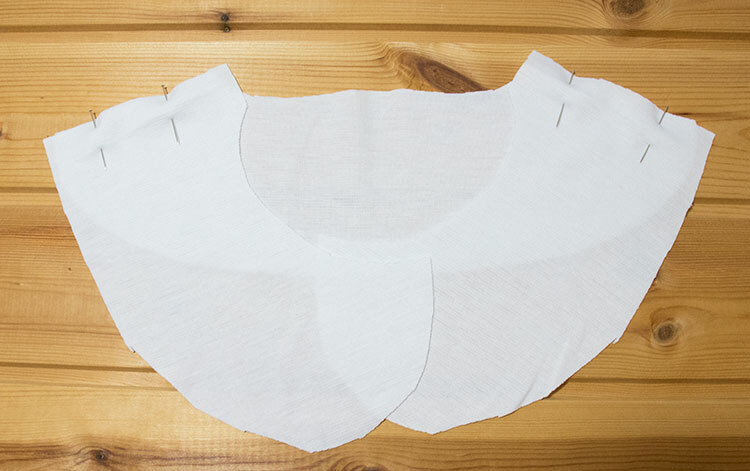 Starting from that center fold, pin the collar all around the neckline. If you want the front collar to slightly overlap like mine, make sure to do it now. Stitch all around with 1 cm (3/8″) seam allowance. Turn the dress right side out and turn the collar so it is now sitting on the outside of the garment. Give it a very good press. 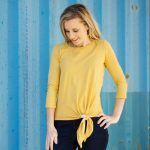 If you want to hide the raw edges on the inside and achieve a neater finish, you can topstitch the collar to the neckline, approximately 1 cm (3/8″) from the edge. And that’s it! 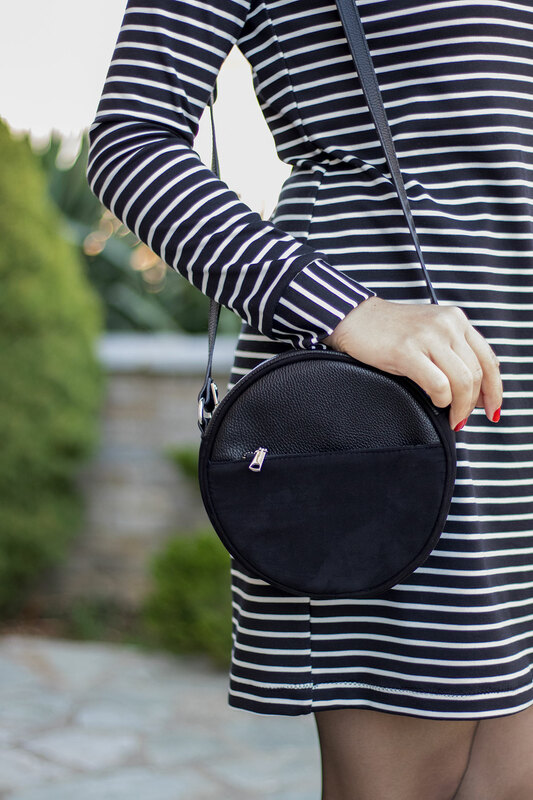 You have just added a cute Peter Pan collar to your jersey dress (or top for that matter). If you want to, you can change the shape of the collar to have pointy edges as well. It’s all up to you! I hope you enjoyed this hack and that you’ll give it a try. For my version, I used a very soft and snuggly Ponte di Roma from Minerva Crafts, that you can find here. I styled it with a pair of black heels from H&M, my black bag from H&M and my favorite earrings from Bijou Brigitte.